Al-Gharraf Automotive Services Company, a subsidiary of Al-Gharraf Oil Services Co. and a member of Numerus Group of companies, opens its brand-new state of the art maintenance workshop in North Rumaila. AGOS provides world class repair and maintenance services for vehicles and heavy machinery of all kinds inside the North Rumailah Field. 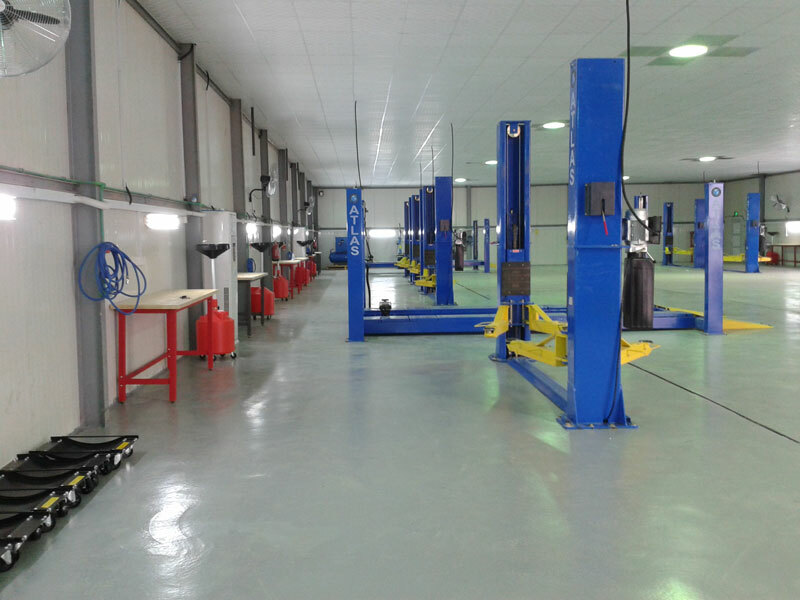 With the opening of an 800 square meter garage equipped with the latest tools, equipment and technology; while staffed by well trained and highly qualified engineers & technicians; AGOS is delighted to offer clients this high level of service in Iraq. This will allow clients to focus on their work in the field while AGOS takes care of their fleet of vehicles and machinery. AGOS is not associated with any major IOC or Oil Service company and, being centrally located in North Rumailah, on the main camps strip, is allows AGOS customers to reduce the cost and time associated with transporting vehicles and machinery to outside of Rumailah in order to carry out the repairs and maintenance. Windshields replacement for soft skin and armored vehicles. The Workshop uses Manufacturer recommended computer software for diagnostics and OEM spare parts, lubricants and oils in the service and maintenance operations. Option One – Full Coverage Plan: Comprehensive plan to cover vehicles against all kinds of mechanical breakdowns including labor and parts against fixed monthly payment. This option also covers periodical service including oil and filter changes. Option Two – Regular Maintenance Plan: AGOS provide regular maintenance (oil and filter changes) for the client's fleet against fixed monthly payment but do repair work on case by case basis. Option Three – Walk in Service and Maintenance: We service and repair your vehicles on case by case basis.